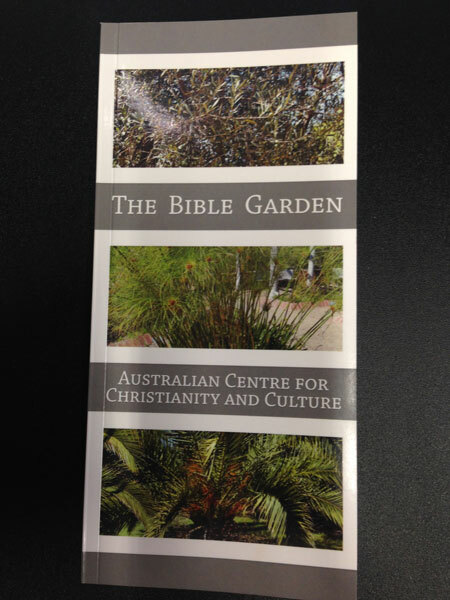 The book features the plants in The Bible Garden located within the precincts of the Australian Centre for Christianity and Culture on the shores of Lake Burley Griffin in Canberra, Australia's national capital. Each plant is listed with its common and botanical names, a photo and a short description, and where it is mentioned in the Bible. The book was written by John Miller and editing and layout is by Geoff Alves. The book can be purchased from the Australian Centre for Christianity and Culture for $20. The Centre accepts both Cheque and Direct Debit payment methods. Contact the centre for more information on 6272 6201.